Let me introduce you to Cut It Out. I attended the Oh Sweet Sadie! art and gift show back in September with my pals Becca and Lara. Whilst we were there, I saw these delightful frames. I somehow resisted (Becca won a gift certificate and totally caved), but I scratched down their website on my hand for later. I knew I’d need one some eventually.So, FF a couple of months, when I was asked if I wanted to review some of their frames I jumped at the chance. The frames come unfinished (for maximum craftiness/color perfection) in A TON of different sizes. Some of the larger ones don’t include glass, but a dollar store frame swap out will work on the 8 X 10’s. I priced glass for a 16 X 20 at Hobby Lobby and it was $9.99. Plus, they ALWAYS have a coupon, so you’re looking at like $6 tops. I’m DYING at how cute my 16 X 20 Grace oval frame is. I love it so much that coming up with the perfect project is going to take me a while. Let me show you what I made with one of the smaller frames, and then we’ll get to giveaway, mmmkay? I used the 8 X 10 Grafton frame, painted white. I added a knob from Hobby Lobby and some background paper and a monogram. You could use the knob for a jacket or a purse. We’re making our bathroom cuter, one towel at a time. Would you like a Cut It Out frame for yourself? Cut It Out (I keep making Joey Gladstone jokes in my head) is giving THREE lucky Crap I’ve Made readers his/her choice of 8 X 10 frame! Click on over to Cut It Out. Have a look around. Come back and leave a comment ON THIS POST (on the blog, not on Facebook or in response to your email subscription) saying which frame you’d choose if you won. That’s it. I’m such a giver! Giveaway is open to US residents age 18 and over only and closes Friday, December 9th, at 10pm MST. Winner will be chosen at random using a WordPress Plugin (And The Winner Is…) and notified by email. Winner has 48 hours to respond or a new winner will be chosen. I was provided with product to review but received no monetary compensation. All opinions are my own. Looking for another chance to win? Becca’s giving away frames this week, too! Go here for more chances to enter! So I went and checked out the company’s website and was pleased to find that the pricing is quite reasonable. I think the designs are unique and absolutely perfect for a girls room (my daughter’s room to be exact). I may have to buy a few frames and maybe some of the other decor as well. The chandler and preston are to my taste, but they all look great. Oh my goodness- such cuteness! Love it! Love the Newport, the Chandler and the Balboa. And the price is totally reasonable! Yeah for cute frames!! I like the preston frame and if you don’t pick me I will probably be forced to sneak the hubby’s credit card and order a couple. I like the Newport. And I love your knob idea! I love these frames. I would choose the chandler 8×10 frame, it’s so gorgeous. Thanks for the chance to win. I would choose the Newport frame. Lovin’ the Chandler frame. Thanks! The Balboa is too cute. Thanks for introducing me to this site! I love the look of the Brooklyn frame. I love them all, but I think the Grace 8 x 10 would be so perfect for me to make wall art for my first granddaughter who is expected in April! My Silhouette SD and I both salivate at the idea! Whether I win or not, I’m going to print some Hobby Lobby coupons and get me to the store! I am SO excited that you found this lovely company. I have been drooling over another company’s frames which are very similar but waaaaay out of my price range (and my thrifty/crafty mind won’t let me spend that kind of dough). I LOVE the Chandler frame. It would look perfect on my mantle. It’s “technically” my husband’s man cave, but I think it’s too stark in there and this would be the perfect accent. they are all so cute – i love the newport… i may need to buy some. dang it! I LOVE the Balboa, that would go good in my hall o’fame wall for the kiddos. What a cute project! I like the Balboa frame. Awesome shop, thank you for bringing it to our attention! I love that the frames come unfinished so you can add your personal touch…and they are way more affordable than other frames like these out there. I dig the Balboa & Newport styles. Thanks for the great giveaway! I bought a few of these for Christmas and LOVE them. The Brooklynn is my favorite. I have to agree with you. These are high quality terrific products. I like the grace oval, it’s not a common frame shape and would force me to get creative! The Preston or balboa! I have a bunch of Stephanie Corfee art to frame and these would be great! SUper cute! love the Grafton and the Chandler! I think I need a few of these! I think they’re all lovely, but I’d love to win the Balboa frame. Thanks for the chance to win! I love these! I like the Balboa frame. Thanks for the giveaway! I love the Newport frame! Great giveaway! I think the Balboa and Grafton are my favorites. What a cute idea! I would choose the grace oval! I like the Newport frame the best. So cute! I think I’d have to choose Balboa. Actually, I’m very tempted by the 5x7s for a project I have in mind. I find myself drawn to the Balboa, or the grace. So cute! And their store is only a few hours from my house! I never would have known! YES! This comes at a perfect time. I was tempted to drop over 100 bucks on one that was exactly the same at a craft show recently….but the crafty side of me said NO way! I love the Balboa Thanks so much for the post!!!! I’d have to go with the balboa as well. I am really thinking I’m going to have to buy it anyway. My mom wants a family portrait for Christmas….hmmm….. I would pick the Newport frame, then purchase 2 more to match for my kids’ bathroom towels. Adorable! I would love the balboa frame!! I LOVE the Chandler frames! So adorable and really pretty affordable! So hard to choose but I really do love the Balboa! i think i love the newport one the most! but i’d love to have one (or two) of each and put them up all mismatched in my girls bedroom. SO CUTE! So many great options! I love the Balboa frame though! SO sweet! I love the brooklyn, preston, and balboa. If I win I’ll decide for sure! They are all super cute, and any of them would look great in our first baby’s room that’s coming in April. I love love love the Balboa 8×10. How cute would it be with some cute scrapbook paper modpodged on? So fun! I really love the Newport and Grafton frames!!!! Do I have to pick just ONE? Okay, okay. Newport it is. But that was hard. I would choose either the Balboa or the Preston frame. I have twin girls that are both big on being Princesses and I think those two frames capture that essence perfectly! I love the Newport 16×20. I may be getting 3 of these for my girls’ pics. I love them! Love these frames and I would choose the “balboa”!!! Love the shapes and colors — I’d opt for the Balboa! I love the Newport and Preston! I love the Chandler frame! The Chandler, definitely. SO CUTE! Love the seasonal cutouts!! Fall, Winter, etc!! I love the Grafton!! But they are all so pretty!! Oooooo! I hope I win! I love the Grace frame! Love the Balboa frame. Thanks for the chance to win. Oh I just love the Balboa! I’ve been trying to find where to find these unique frames and I’m so happy to finally know! What reasonable prices too. I think these frames would be PERFECT for the Mad Hatter birthday party I’m throwing my daughter in the spring – I’m already getting my ideas together! I really like the Balboa frame! Thanks for the chance. Happy Holidays! I love the Newport and I love how affordable they are!!!! I’d pick Balboa, but it really is a hard choice! I love that these are un-finished and SO affordable!! I would choose the Balboa frame. I may just have to get a few for Christmas gifts. Very cute! I love the Grace and Grafton frames. Those are so feminine! I think the Preston is my fave. I love the Preston frame! I love the Preston and the Grafton and wow they have great prices on these cute frames! Ooh… the Newport! Thanks for doing this… adorable!!! I would love to win the “Preston” frame in the 11 x 14 size…this winter I’ll be redecorating one of our spare bedrooms and this would be so fun to use..love all the frames! Baloa and Grace are tough to choose between. Adore the items, excited that you take PayPal, too. The Chandler is the one for me! My daughter’s room NEEDS the Newport frame! Thanks for the giveaway. The Balboa frame is perfect for a project! I love them all though! Great prices too! I love the witch block letters. So cute! Love the Newport! So cuts! Can I really only choose one? They are all fab! I love the newport, the balboa, and the preston, oh wait! I love them all! I think I would have to choose the Preston and I already have the perfect idea. Please let me win!!!!! I love them all and may just have to go back and buy them when this giveaway is over. Great giveaway! Love all of the designs, but I’d pick the Newport as my first frame from them! Love the Newport design! Thanks for introducing me to this site….will definitely be ordering frames!!! I’m loving the Balboa – this piece would look great in any color! Love these frames, my favorite is the chandler. I LOVE the Balboa & Chandler… so many ideas just looking at them! I love them all, but if I had to pick one it would be Balboa! It’s so hard to chose, really like the chandler frame. Awesome giveaway. What cute frames! My favorite is Newport. Oh, my creative ideas are swirling! Just darling. i LOVE LOVE LOVE the beadboard frame!! We are putting together a crafting event in ATL in January and I think we might have to do a project with these guys. Crossing my fingers for a win! Love the Balboa and Newport styles among many others!!! Thanks!! One for each kid, a blackboard with reminders in the mud room. Love! Balboa! Love these frames. Definitely need to bookmark that page. So cute! I love the Newport frames! It’s so hard to pick! I have a place in my house for all of them! But it’s a toss up over Grafton and Newport. I would either choose the preston or the balboa…love them both!! I love the Grafton and the Balboa – so fancy! Hmm…I think I would choose the Newport. But I absolutely adore the Chandler as well! I love the Balboa frame – super cute! I love the Brooklyn frame! So precious and the prices are extremely reasonable too! I love these! My favorite is the Grafton. Thanks for the chance to win. I’d go with the Newport. :nod: I’d paint it red and put our newest family photo in it and hang it up in my son’s bedroom. Thanks for sharing! The pricing on these is much better than I’ve seen on similar frames, adding to my bookmarks for sure! Cute! I love the Balboa and the Chandler styles. I like the Balboa and the Grace Oval… if I don’t win I’ll probably still get them. They’re really affordable. I love all of the frames, but if I had to pick just one it would be Grafton. I am so glad to know about this site…I know I will be shopping with them in the future! I am LOVING the Newport and Balboa styles! I really like the Chandler frame! The Balboa is calling my name….lol. Seriously love them all love your monogram idea too. Love it! Love the Newport, the Chandler and the Balboa. I am redoing my girls bathroom and just got them monogrammed towels. Might have to steal your knob and monogrammed letter frame to go with the towels! I love the chandler frame! I have a great idea, I would love to paint the frame pink and make a silhouette in black of my daughter for her 15th birthday! I love the Balboa style. Though they are all very cute. I would love to win, thanks for the giveaway! This is fantastic! I’ve been looking for someone who does these frames! I really like the chandler style. Chandler is my favorite! These frames are great. Thanks for the giveaway! Ooh, i really like the brooklyn. So cute!! I love the Brooklyn Frame!! I love what you did with yours, great idea!! I am in love with the Balboa, and I was going to email you about how to find glass for them, so thanks for answering that! I love the Grace Oval! So precious! So unique! I love the Chandler! Actually I love them all. Thanks for sharing! I like the Newport or Balboa design. First project would be a collection of frames in my entryway with new pics of my girls. 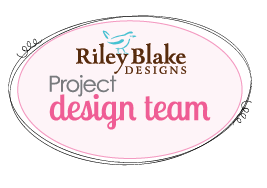 Second project would be similar to your towel/jacket hanger for the girls bathroom. I like the Grace Oval 8×10 best…SO pretty! Thanks for the opportunity! i love the natalie most! but they are all so pretty! thanks for the chance to win! I’d choose the Chandler frame, I think! They are all so cute it’s hard to decide. I would love to win the Newport 5 x 7 frame. In fact, I’d be totally thrilled! Love love love this frames!! My favorite is the Balboa! Thanks a lot for a chance to win! Love these frames! I think the Balboa is my fave! What nice shapes. I think my favorite would have to be the Chandler, but really I could see any of them painted white on my bedroom wall! I’d choose the Balboa frame. Love them! I’m in love with the Newport! Ahhhhhhhhh! How have you been keeping this a secret from me? I am so in love with the fun frame shapes and I may or may not be going to spend a small fortune on their site!!! I want them all, but I think the Balboa is my favorite! I love a lot of them, but Newport is probably my favorite. I’m sure I will be buying some whether or not I win! I’m loving the Grace Oval in the 20×30 size. Awesome! I looked at the website, and I love that the prices are reasonable! I love all of the frames, and if I HAD to choose one it would be the Newport in 16×20 for my daughter’s bedroom! Grafton is definitely my fav…followed closely by Brooklyn, chandler, and newport. They are awesome. I’m feeling like scrapping and embellishing my little heart out on that frame! Love them all, but my fave is probably the Brooklyn! Fun giveaway, Char!! I LOVE these frames! I’d totally get the Balboa frame– LOVE the styling! I would chose the Chandler frame! Really like the shape of that one! CUTE FRAMES!!! I like the Newport and Brooklyn!! I really like the Balboa, but it’s hard to pick. They are all so cute! I love the Grace oval. It’s so beautiful and different than anything I currently have. What a fabulous giveaway! I love the Balboa! These are awesome! I love the Newport, and I’d have to get a big one! Thanks for the giveaway chance! If I win, I know my life will be infinitely better! I’m loving the Balboa frames. The bigger the better!! I love the Newport and the reasonable prices!! SOOO adorable! Love them. I love the Chandler Frame!! I’d take the Chandler frame. But then I’d have to order some more so all the pictures on my mantle matched. I was drawn most to the Preston shape. I would go with the 11 x 14. Ohhh! How cool! I think the Newport or the Grace are my faves. And the prices really are great. Thanks for the chance to enter & for letting me know about this cool crafting source. No way are these really that cheap! What a good deal for a dang cute frame. Love the Grafton! And don’t tell Bloom I’m here… I just signed put to sell their frames. Lol. I LOVE the Chandler frame…but honestly, I LOVE THEM ALL! I can see a huge gallery wall coming together, a door frame, and/or some to do lists for my four kiddos! I am a “newbie” at crafting and I love these frames!! Love all of these!!!! Especially the grafton! Thanks for the giveaway! I like the Preston frame. These are all so super cute I could take them all! I have to say the Balboa is my favorite. I love the big curves. Newport! And, love the Christmas cut outs! How to choose? I’m thinking Balboa, but I could always change my mind. Such cute frames! LOVE LOVE LOVE the Brooklyn! for me? totally the chandler great frames, thanks for the chance!! I like the chandler frame the best–but they’re all pretty nice! I like the balboa frame. I love what you did with adding a knob. I love the Balboa frame!!! I love all of these frames. I don’t think I could choose just one. I want them all!!! What an amazing site! I love the Balboa frames the best. Thanks for the chance to win! Hey there! My first time on this blog and I’m hooked! I love the frames and especially the colors you have chosen. How did you do the “M” monogram? Love the prices at “cut it out”, they’re bookmarked! Oh I love these so much! My favorite is the Balboa! I love the grafton frame! would look awesome w/ my family xmas pic in it! Omg, even though it is super cute and my daughter’s name is Grace and she would kill me if i chose anything other than her name….i would have to go with the Newport cause it is my fav!! I like it….I like it…I really like it!! Wow!! They’re all so cute but I love the Balboa the best! They are all FAB! But it’s a toss up between the Newport and the Chandler. These are really special. I like them all but if had to pick one it would be the Balboa. I have so many idea to use this. love the balboa!!!! i am thinking this would go on the wall at the top of my stairs…. I wouldn’t turn a single one down but the Brooklyn was my favorite!! Thanks for this giveaway! I would totally choose the Balboa…soooo SUPER cute! My mind is spinning with possibilities! Thanks for the chance! I love the Balboa! So cute!!!!!! Thank you! I really love the Balboa frame. We just got family pictures and I’ve been looking for some great frames! These would be perfect! Love the Chandler frame, especially in the large 16 X 20 size. Great concept and reasonable prices! I think I’d have to go with the Newport frame, but they are all so fabulous! So hard to choose. Can I have one of each to compare? Just kidding! I’d start with the Chandler! TFS their cute frames. WOW, I would love to win the Balboa in 11×14” size…we just got a family picture taken and I need a frame for it! But I love what you’ve done with the hook for your frame, too! What a great idea. Having a hard time picking, the grace, newport, grafton or balboa???? Would love to have the chance to choose. LOVE these! I’m on the fence between the Grace oval and the cuteness you came up with using the Grafton. Great value. Definitely the Balboa! So stinking adorable!! The chandler and balboa frames are about equally AWESOME! I like the Newport and the Brooklyn frames. CUTE! These frames are so cool! We don’t have a Hobby Lobby here so I’m glad you posted thier website ~ now I know where to order these frames from. I really like the Newport Frames. Thanks so much for the info & the chance to win. Ooo, I heart the Balboa and the Newport! Beautiful frames, thanks for the giveaway opportunity! LOVE the Grace because I adore oval frames. They’re classic and remind me of my grandmas! I like the balboa or chandler. I LOVE the Chandler frame!!! SO cute!!! I like the Chandler frames. Nice shop! I think the Chandler would be my 1st choice, b ut they are all so cute, i’d be hard pressed to pick just one. Great idea on the towel holder. We need some of those. The big size of the Chandler would work perfect for our new family photo. I want to frame it in something really cool, and this totally fits the bill. Holy guacamole, I LOVE these! I’m dying over the Newport 8×8 Picture Frame! It would look greta in my girls’ room. I really love the Balboa frame in 4×6 or any of the 8×8 frames. I think I would go with the Preston frame! So cute! I absolutely looove the Balboa frame. I’m imagining all the things I could do with it. Hehe. I love these frames so much. I think the Balboa is my absolute favorite. Wow thanks for the giveaway! I love the Newport, but honestly they are all amazing!!! I LOVE the Balboa but all are just adorable! I love the Balboa frame! Love the Balboa picture frames. I love the Newport frames! I like what you did with the frames! Really cute! I really loved the oval “Grace” in the 8×10 size! Love the Preston and Chandler frames. Perfect for framing my 2-yr-old’s little handprints! I Love the Grace frame! It could be very dangerous for my checkbook that you showed up this website! I really like the newport frame. I am in love with the Chandler and Brooklyn Frames!! So Cute and these are super reasonable prices! I really like the Chandler, Grace and Brooklyn frames. They would be prefect in the baby girls nursery that I am starting to work on. This February delivery date is getting closer and closer… lots to do! Your frame is so cute, but I have to go with the Balboa with the extra little cut. I LOVE these frames!! I should just buy some already huh? I adore the Newport frame. I love what you did with yours!! Thanks for the fun giveaway!!! Love the Preston . . . if I don’t win, I think I’ll place an order . . . but I sure hope i WIN!! I love them all! Your frame with the knob turned our very cute! I knew you would think of something great. LOVE the newport and grace styles. Love the whole website! I’d go with the Balboa Frame – SO cute! PS – LOVE your idea to add a knob and use them to hang towels in the bathroom. We have a major shortage of space to hang towels in our bathrooms – I’m gonna have to copy your idea! I absolutely love the Chandler frame! Thanks for hosting this AMAZING giveaway!! Love love them all! Newport is my fave! Thank you, &c crossing my fingers! I would absolutely LOVE the Chandler or the Balboa!!!! They’re all so great it’s hard to choose. They remind me of the frame around the peekhole on the “Friends” tv show door!!! I always thought it would be cool to have one of those. I really like the season cut outs (summer, spring, fall) and would love to see winter! i covet the balboa. and umm, you rock my world for sharing this amazing company. i was searching for these like yesterday. PS are you going to CHA? Balboa all the way, baby! Love them all. I’d use the Newport for some needlework I’ve just finished, and Grace for a picture. The Balboa would nicely frame another piece of needlework. Wonderful frames! OMG! I’m so glad I came accross your site! I’ve been looking like frames like these for a while! I’d love to win! My favorite is Balboa!! I love the brooklyn frame! I have been drooling over these frames for awhile now. Oh the things I could do…LOVE them! I think I may have something in mind for each of them, but for starters I would go with the Newport. Great Giveaway! The Balboa is super cute. I love the idea of putting a knob on it and using it as a towel hanger! I too love the balboa such a cute style I’ll have to go visit the next time I’m in Idaho falls! Unless I am framing a photo, I totally wouldn’t miss the class. The Newport rocks! I would choose the Grace Oval frame. The Brooklyn would look so cute in my daughter’s room! Love the Chandler Frame and the BYU Wood Letters for my sons’ room. Love the Chandler Frame. Cute and Simple perfect for our family photo. My new family photo would look great in the Chandler frame! I too was drooling over the frames at OSS Boutique…but they weren’t in the budget so I was forced to resist:o) I love the Grace or Brooklyn for my daughter’s owl themed room! I think I would pick the 16×20 balboa. Those are great and very reasonable. I think I will order some! I love the Preston shape! Any size picture would look awesome in that!! I Love them all! But if I had to choose it would be the Newport. I’d pick the Preston! It’s such a pretty floral shape. My favorite for sure. I love these!!! They are so unique and fun! The Grace Oval would look so pretty in my bedroom. I’d definietly pick that one! I like the grace. And i was surprised at how affordable these are. Thanks for sharing! I love Balboa – 4×6 Picture Frame. Love your bathroom towel hook. I visited their site and WOW! GREAT pricing! I would choose the Balboa, Newport or Chandler frame!